In the first phase of the project, various automated 3D preforming technologies have been developed. These include 3D weaving, Robotic fibre placement, Robotic braid-winding, 3D braiding, stitching and tufting. In the second phase, multi-scale hybridisation technologies are being developed. These techniques include tow-scale comingling, 3D weaving of glass-carbon tows and incorporation of novel toughening with CNTs. In the third phase, novel multi-functional preforms are being developed in order to incorporate functionality at the preform stage. Sensing and heating are the two main functions being developed at this stage. Various fibrous and non-fibrous materials will be incorporated at the preform stage. During the last year we have completed the development of various 3D preforming technologies and initiated work on multi-functional preforms as well as product demonstrators. 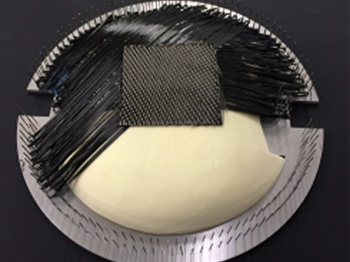 Robotic Fibre Placement: Preforming technology to deposit fibres and fabric patches on a curved tool has been developed. 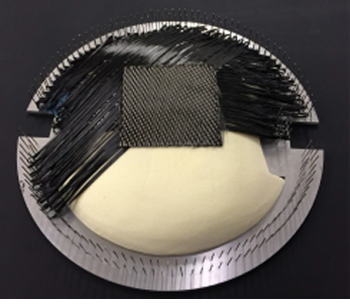 Additionally, a product demonstrator for tufting an ‘S’ 3D woven stiffener with an NCF skin has been developed with the industrial partners. 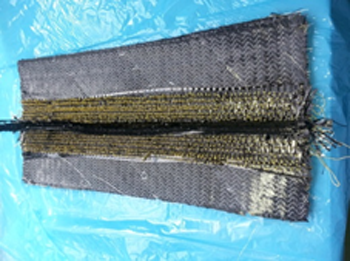 3D weaving: Significant major modifications have been carried out to the 3D weaving machine in order to control the warp and weft tensions, enhance the ability to drop plies and to change the ply width. Incorporation of bias tows has also been explored – this needs further development. 3D Braiding: A tubular 3D braiding process has been under development with the first prototype operational now. 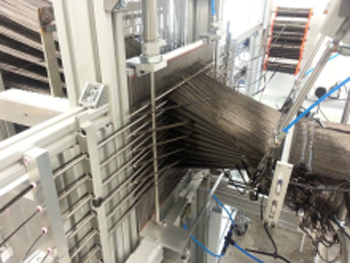 A machine to create 3D solid braids has been installed and further preforming work will be carried out during 2014-15. Multi-scale hybridisation: two different methods of mixing thermoplastic fibres with reinforcing fibres have been explored, co-mingling and micro-wrapping. 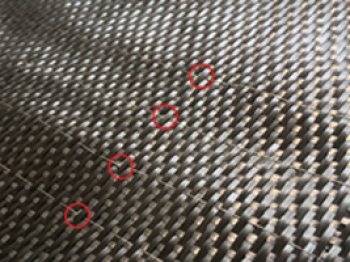 Both techniques demonstrated improvements in damage tolerance and damage resistance. 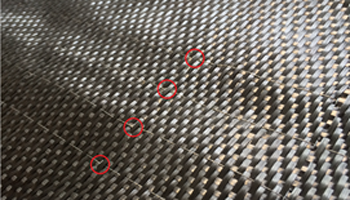 A further technique to incorporate CNTs (Carbon Nano Tubes) at the interface is being explored). Multi-functional preforms: fibrous materials for active heating and sensing have been incorporated at the preform stage. These preforms will be converted into composite laminates, and tests will be carried-out to assess the multi-functionality.